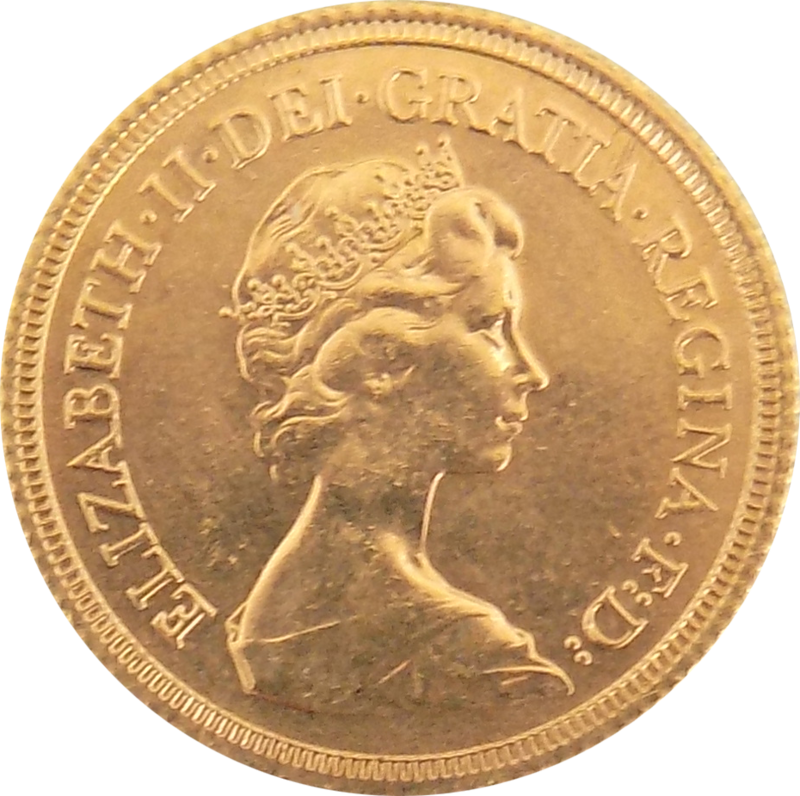 In 1974 a new portrait of Queen Elizabeth II appeared. In this portrait the Queen wears a tiara. The second portrait is sometimes referred to as the ‘Decimal head’. 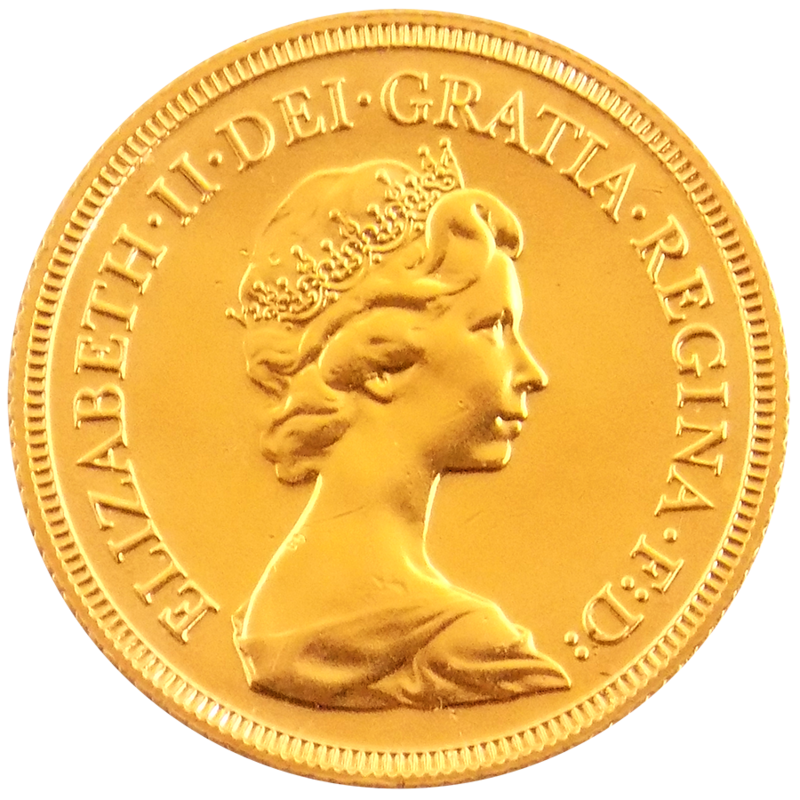 Previously UK minted coins had been struck at Tower Hill in London. 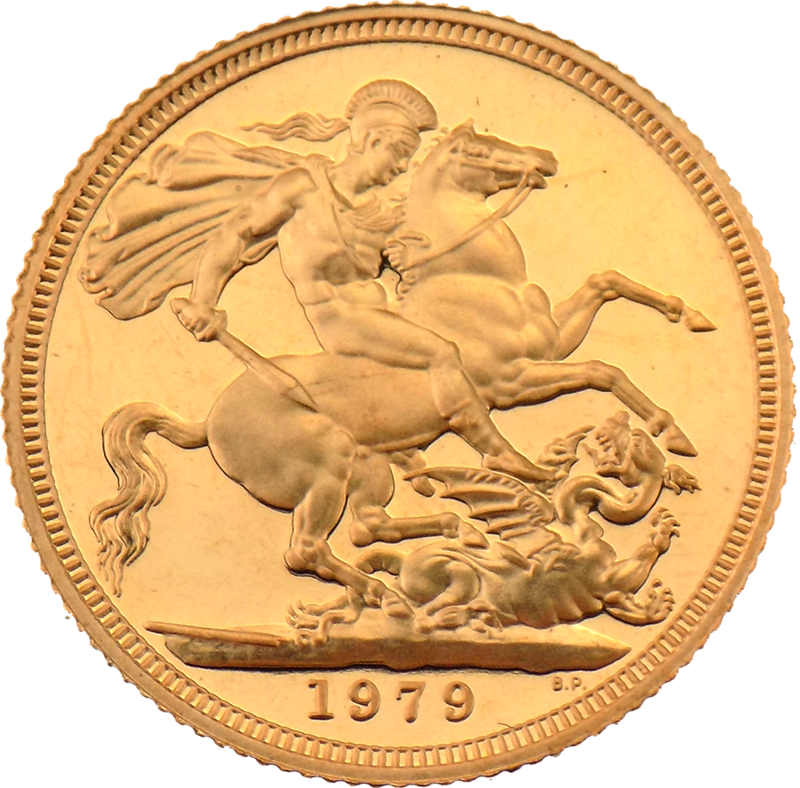 On 10th November 1975 the last sovereign coin was struck at Tower Hill, production then moved Llantrisant in South Wales. 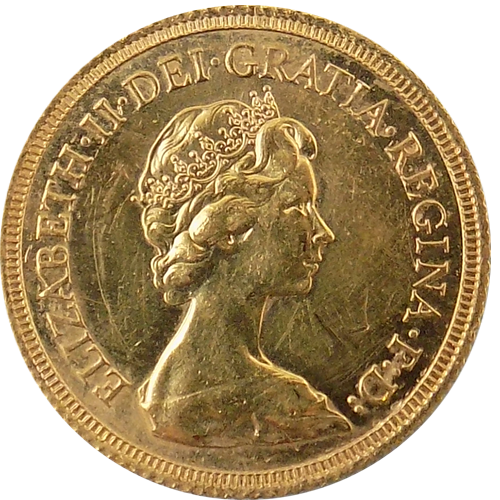 In 1979 proof sovereigns were introduced as well as bullion market sovereigns. They were intended for collectors.